A1 Synthetic Leather Co., Limited is a manufacturing company of special glitter synthetic leather, Glitter Cardstock and glitter arts and crafts, providing a through-train service of the development, design, manufacturing and sales. Our factory is situated in Dongguan City, with convenient transportation. Our business has expanded to all over China as well as Europe, the USA and Southeast Asia. The factory always has high integrity and product quality. As we always provide satisfying products and technology for different kinds of glitter leather and Glitter Cardstock with our advanced technology, we got lots of inquiries from our customers every day. Today we would like to share some of them with you. 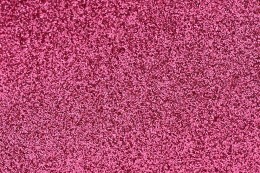 Message: Please can you send me a quotation for A4 or 12" x 12" glitter card delivered to the UK. Please advise minimum order quantities. Message: Is there any way I could be sent a sample book or at least a sample of your Glitter Cardstock? Message: Hi I’d like to know a price in the glitter cardstock and how can I purchase this. Thanks! Message: Hi! I'm really interested about big amounts of Bright Fine Glitter Paper that I can use in cheer bows. I will use heat and bound to stick glitter on grosgrain. Would this be the best? What kind of colors you have? Thanks!